Marblehead Pediatrics was established in the early 1970s by Dr. Charles Louden. Geri Yuhas, PNP, joined him in the mid-70s. The practice moved to its current location in 1978. Dr. Cheryl Kerns joined the group in 1978. Dr. Richard Miller joined in 1992, Rebecca Ehrenberg joined in 2000, Dr. Lisa Gast joined in 2016, Hillary Johnson joined in 2016, and Dr. Sarah O'Connor joined in 2017. 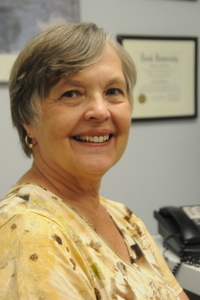 In August 2009, Dr. Louden retired from the practice after a 41-year career in Marblehead. For more information, read Marblehead Family Friend Works His Final Day. After 37 rewarding years at Marblehead Pediatrics, I will be retiring in July. It has been a joy to watch so many children growing up in the practice and many coming into the practice with their children. Thank you for taking this journey with me and allowing me to be a part of your family life.